Hello everyone. I hope you all are having a wonderful start to your weekend. I was wracking my brain trying to figure out something new to share with you, but I was re-inspired by a domino project I saw on Pinterest. Don't you just love Pinterest? 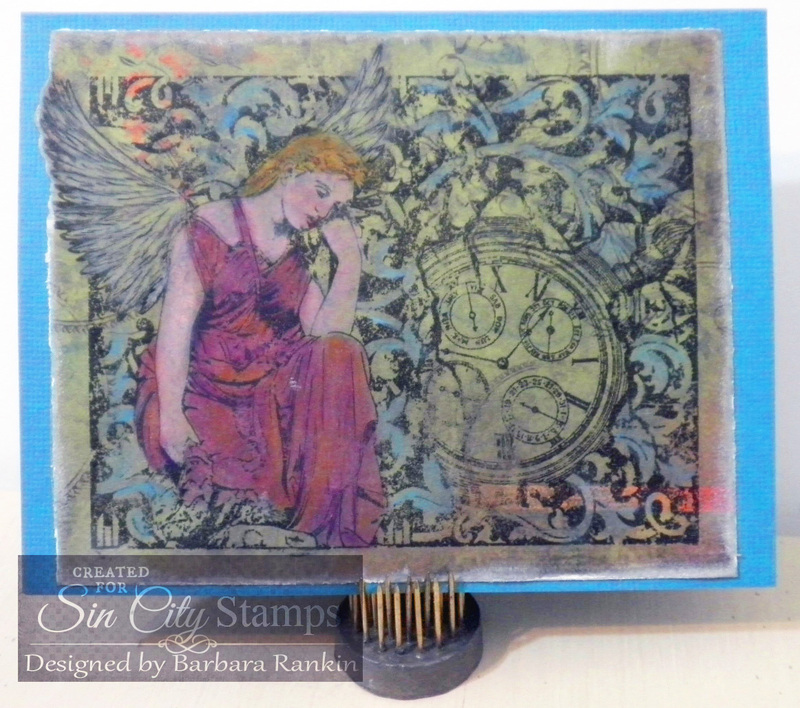 Most of the projects were using alcohol inks, but I am making mine with ColourArte's Radiant Rain Daubers, too. 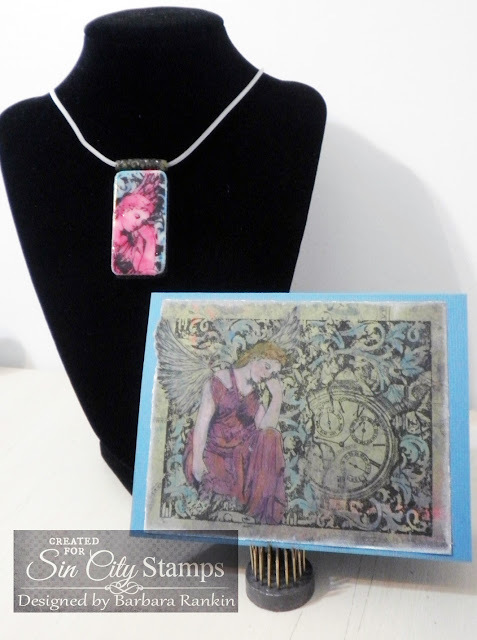 Dominoes are a fun substrate to use in any of your mixed media work. You can turn them into a piece of jewelry, you can use them as a focal image on a greeting card, or as a fun embellishment on a mixed media canvas. Here is is quick video tutorial for this fun little domino, which I turned into a necklace. 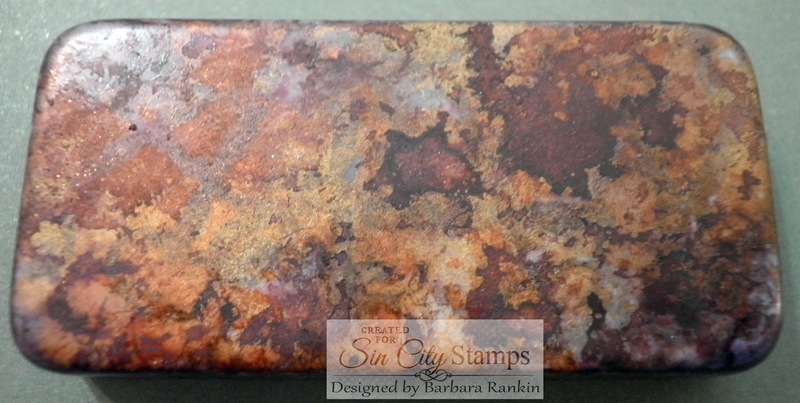 I will also show you a fun technique for turning it into a piece of faux rusted metal. 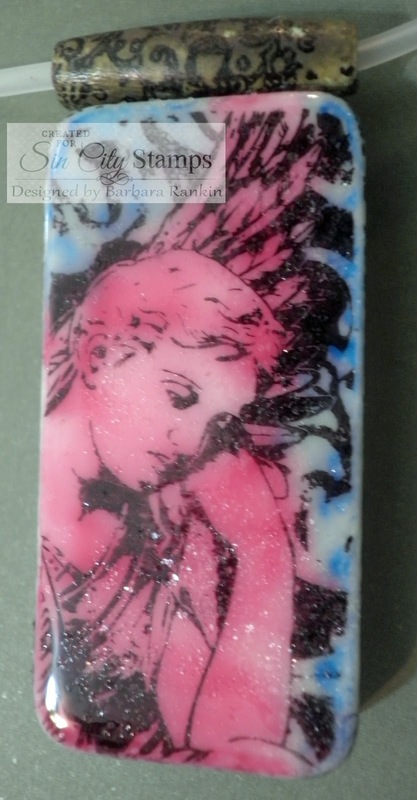 Again, the same techniques can be used for decorating your dominoes for any project. So have fun with them and enjoy. I also made a quick and easy matching card to give to someone special, along with the necklace. 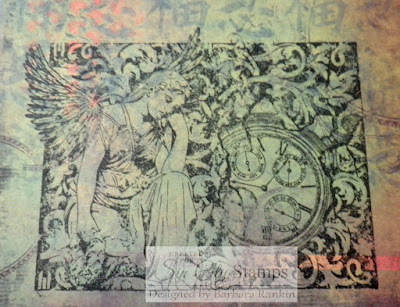 I simply stamped the angel image onto a piece of print paper with black archival ink. Then I used Caran d'ache Neocolor II water soluble crayons to partially color the image. 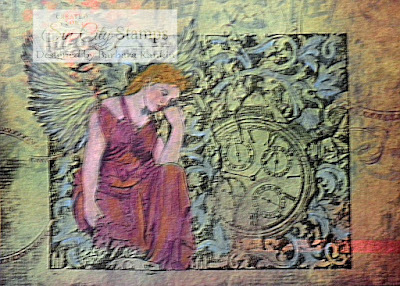 I used a straight edge ruler to tear around the image, leaving a bit of distress edging, which I highlight with a white pigment ink pad, for a shabby look. Then I adhered the image to a blue card. Simple! 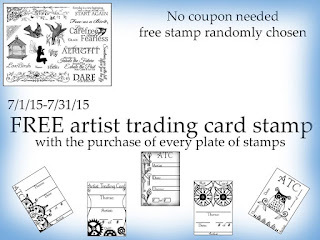 Take a look at your stamps in a different way. Remember, it is not necessary to find small stamps to fit on a domino. 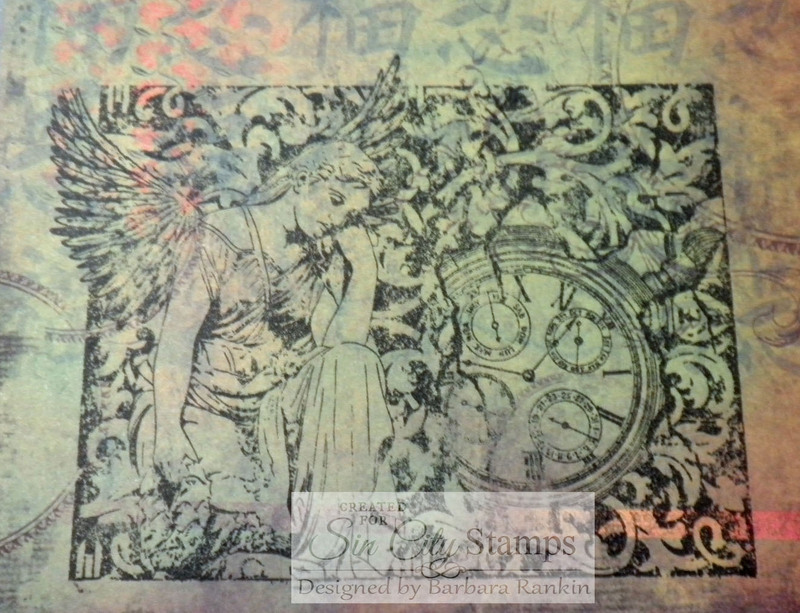 You can use parts of a stamp for fabulous effects. In fact, this month, Sin City Stamps is offering a free stamp with any purchase of a stamp plate. 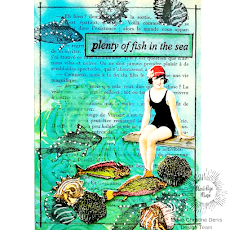 So pop on over and check out their fabulous selection now. 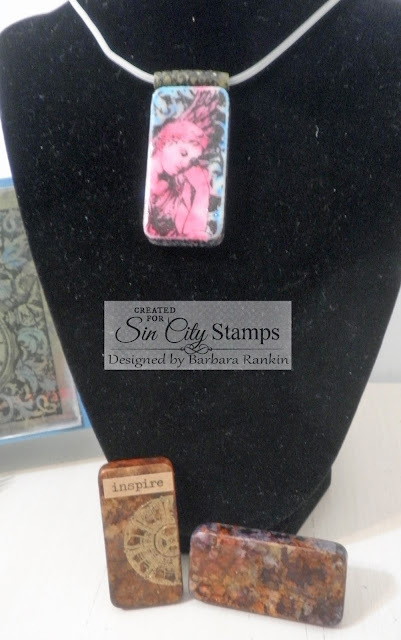 I hope you enjoyed my video tutorial and, perhaps, inspired you to make some fun domino embellishments for use in any and all of your mixed media projects or jewelry pieces. 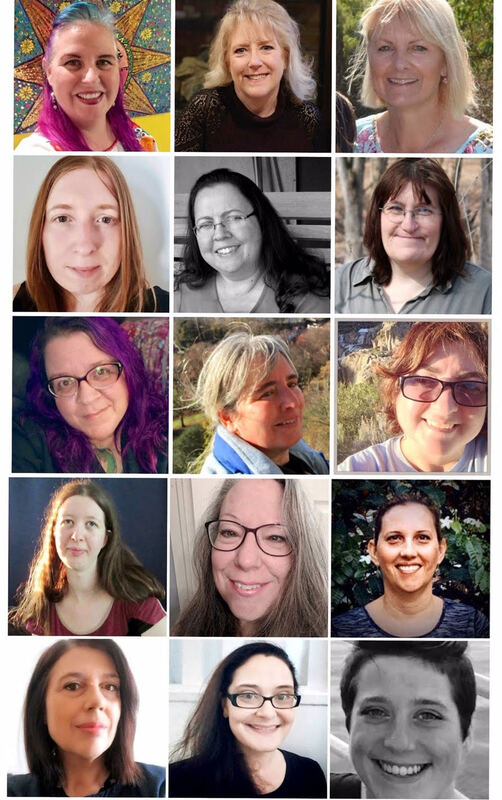 Thanks so much for stopping by, and until next time, have a wonderful creative weekend! Really love this.. I have to try it! !